One of the most enjoyable aspects of major gift fundraising is getting to build relationships with donors. But often nonprofits squander the opportunities given to them by not doing any research. A good practice is to run yourself through the prospecting tool first. That will help you see what comes up and how accurate or inaccurate it is. When I recently ran myself through the steps outlined below, I was shocked to see myself listed on boards of nonprofits I'd completely forgotten about. It'd been over a decade since they closed, but they still showed up on the list. Here are six of the tools I walk my private coaching clients through and include in Fundraising Coach University. Record all the pertinent information on the address, contact, spouse/partner, and background information fields of your prospect profile. If you don’t have the prospect's address or phone number, WhitePages.com is a great place to look. It's a little creepy too. (Try searching on you first to see what addresses get pulled up.) This information helps fill out their profile and is required to do the more detailed wealth screening below. One of the best donor research tools is Google. Searching on their name tends to pull up lots of information. Depending on the prospect, you will find corporate bios, alumni notes, even community volunteer lists. You can refine your search by doing things like: having their name in quotes, or adding a location, or searching their name and their business name. A complete list of Google's search operators are listed here: https://support.google.com/websearch/answer/136861?hl=en. When you cut-and-paste any helpful tidbits onto the prospect profile, include the URL of the reference so people can quickly read more. I like to print helpful webpages to “PDF” and save them in the prospects file on my computer or my nonprofit's shared server so anyone can see the source material even if the webpage is removed in the future. I also do an image search in this step. I save that image to the prospect’s folder in the shared drive and paste it into the top of their prospect profile. It's much easier to communicate with a donor when you have a face to put to their name. I've been a fan of WealthEngine.com for years. It pulls together all sorts of publicly accessible wealth information and indicators: real estate holdings, stock holdings, directorships, plane or yacht licenses, etc. It also reports on charitable giving of the prospect and lists if people are on boards of foundations as listed by Guidestar.org. And it will give you a suggested range to ask for a donation in based on the prospect's capacity. But WealthEngine only focuses on wealth. So you can draw some poor conclusions from the reports. And they don't let you customize the report, removing listings you know don't belong to the donor. Here's where DonorSearch shines! They allow for you to remove listings in a profile that you know to be inaccurate. They even score the reliability of the information based on their experience doing this sort of research. More importantly, DonorSearch is weighted more toward demonstrated philanthropy than to wealth. They have all the wealth indicators and they will give you an estimated capacity based on wealth. But they have a much more complete list of gifts the prospect has made. So they also suggest a gift ask level based on the giving, not the wealth. A prospect may have the capability of making a $25 million to $50 million gift. But if the highest gift they've ever given is $100,000, it's better to consider asking at that level. At least at first! Whichever tool you use, be sure to PDF the profile to the shared drive. And jot down any items of note onto the prospect profile sheet. Putting the prospect's address into Zillow.com can help you find an estimated worth of their house (or houses you may have discovered in the property listings in the WealthEngine or DonorSearch step). This can be useful to include on the prospect profile. 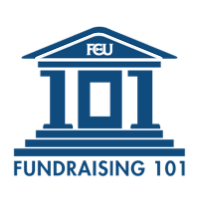 If you've discovered clues that lead you to believe the prospect has their own foundation, looking up their 990s on GuideStar.org can help you get a more complete sense of their giving. The 990's list both what organizations they've supported and how much they gave to each. Jot any worthwhile information onto the prospect profile. This takes time. Your nonprofit's relationship with donors is worth taking time to get right. Using these tools to set up a prospect profile can help you focus on what's important to them. And it can help your nonprofit leaders. One of the top nonprofit CEO fundraising frustrations is not being properly prepared for a visit with a major donor. A donor profile like this will help her be her best in the visit. What tools would you add? These are the tools I recommend to my private coaching clients and Fundraising Coach University members. What donor prospect research tools would you add? Marc: Just discovered you online. I'm setting up a 501(c)(3) subsidiary foundation of an 85-yr. old, venerable 501(c)(19), and this article was solid gold...really, really helpful. Would love to meet sometime if you're in the DC area. I always suggest people use their library cards because most of the time you can search the archives of your local paper from your desktop, and that can be a very valuable source of background. This is such useful info, thank you! I am starting a new position at my org on Monday as Manager of Dev. Research and I am going to use all this info to get me started. Thank you! I'd add donor surveys to this list since most donor files are too big. You need to zero-in on who wants to have a 1-to-1 relationship and why. Thanks, Gregory. But only if you are going to actually use this information. Otherwise, donors will see it simply as another marketing tool. I am a volunteer with a non profit. Are the programs mentioned in the above article on donor research available/active in Canada? Hi Helen, I know Canada has much stricter privacy rules. But I'd suggest you try the links. That would be the ultimate test.